Designing Effective Digital Badges is a hands-on guide to the principles, implementation, and assessment of digital badging systems. 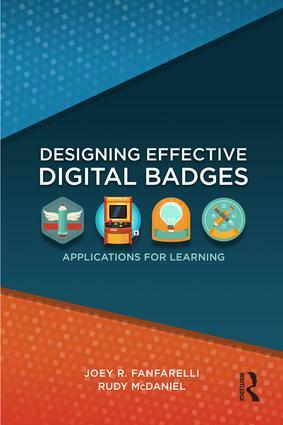 Informed by the fundamental concepts and research-based characteristics of effective badge design, this book uses real-world examples to convey the advantages and challenges of badging and showcase its application across a variety of contexts. Professionals in education, game development, mobile app development, and beyond will find strategies for practices such as credentialing, goal-setting, and motivation of their students. Introduction: What Are Digital Badges, and Why Should We Care? What Is a Badge, and How Should I Use It? How Are Badging Systems Constructed? How Do Badges Shape Behavior?